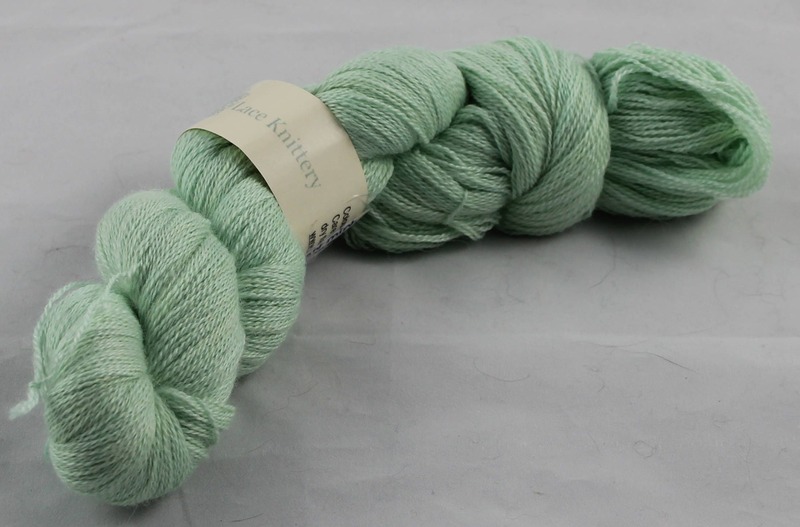 This is one of my favourite yarns and weights it knits and crochets into light as air shawls and wraps. 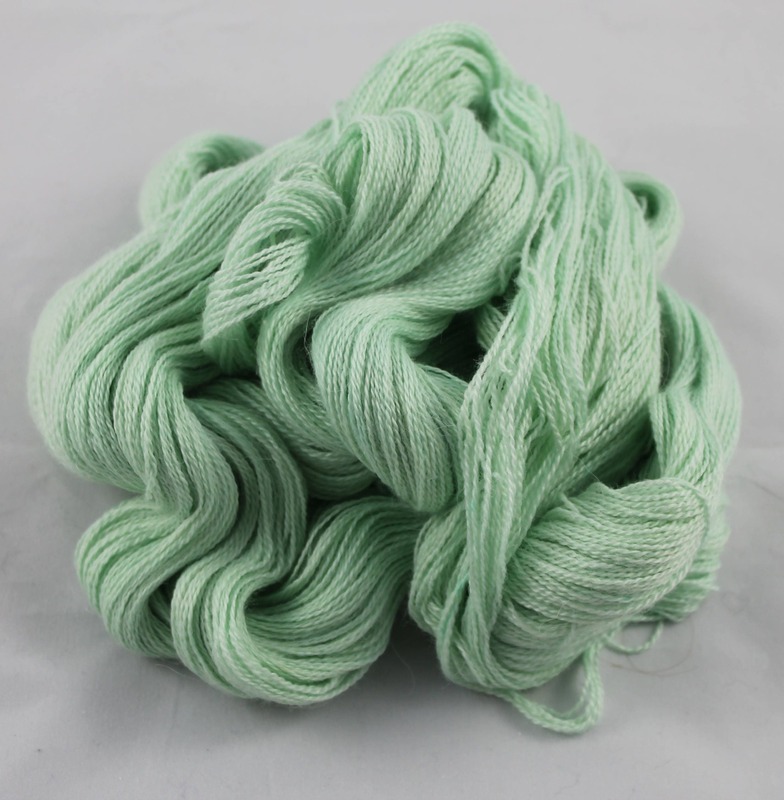 It is incredibly soft but tough and has a beautiful drape. I have hand painted it using my own space dye technique in a very soft green. It was inspired by the fresh, light green that peeks through on the underside of leaves as the breeze blows through the willows. 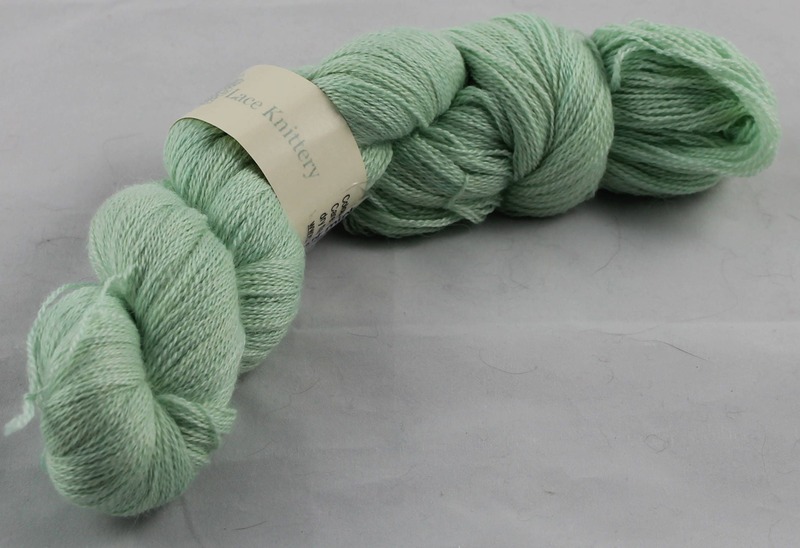 This skein is 100g/800m and contains enough yarn to complete a long rectangular wrap or large triangular shawl. 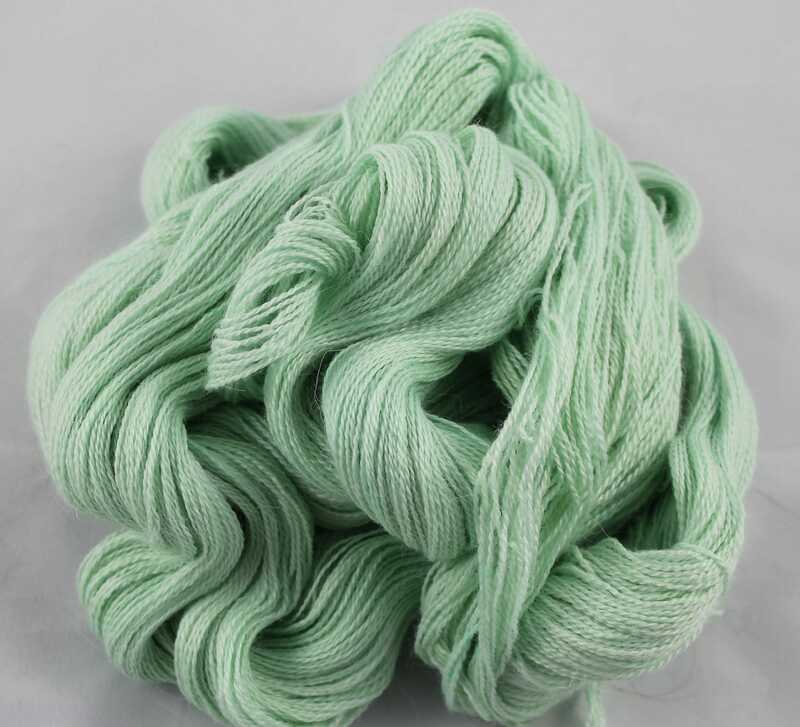 70% baby alpaca, 20% silk, 10% cashmere. 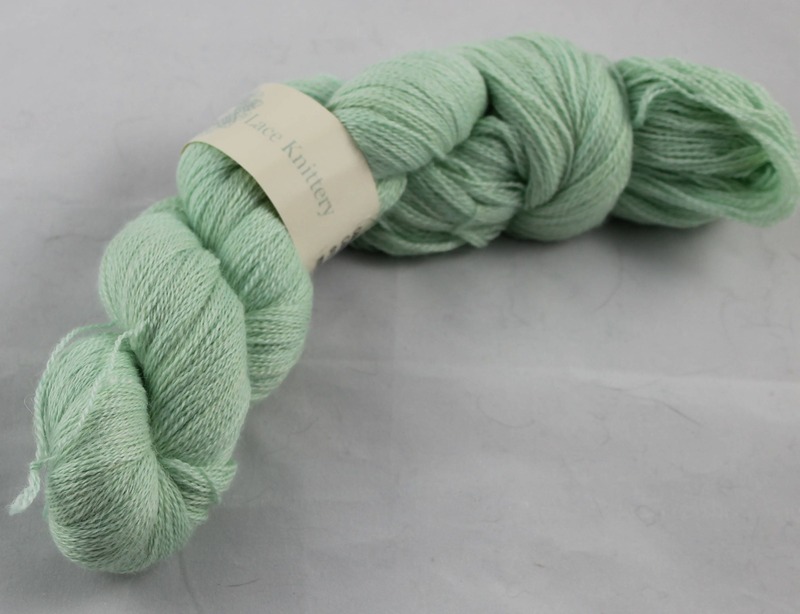 If you would like this yarn in another colour way or a different yarn in this colour please send me a convo. I love custom orders.